I really thought that Snow could win this entire battle—not just the previous round—but I forgot how many Snow-Haters there are out there. Not only did it lose to Canyons (the winner) but it lost to the Volcanic landscape as well. And so now we are down to four. Let the semi-finals begin! Which one of these two landscapes is the greatest and deserves to make it to the finals? Why was the swamp late for its meeting? Did you hear about the dumb blonde checking alligators in the swamp for some shoes? What did one mountain say to the other mountain after an earthquake? What was the highest mountain before Mt. Everest was discovered? Alright, it’s now time for you to vote. Vote by leaving a comment—but do so before Saturday, because that’s when the voting ends and the next semi-final round begins. I will vote for mountains for no other reason than the bad fault joke. I found that way funnier than I should have. Well, I'm jumping into this well after it started, but to me, the answer is simple. Mountains. I vote Mountains. When I think of swamp I think of grossness. mountains. unless we are voiting on the jokes. 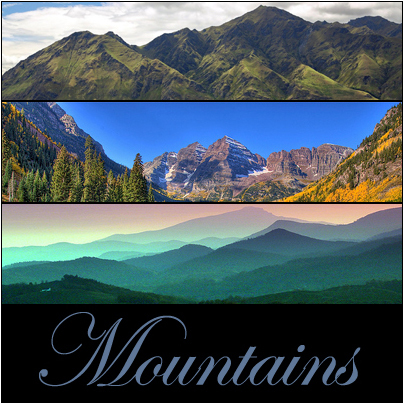 I would have to say mountains, too. I chose swamps over deserts but nothing blows away my self magnificence feeling like those inverted cones and glasses. How did swamps get this far? Mountains for sure. Yeah, I'm a snow hater as well. Hmmm, I think I'll go Mountains. Wait. No, Mountains it is. I've always loved the mountains. There can only be MOUNTAINS! As C. Camel asks, how did swamps get this far? They just kind of stay in one spot and dig themselves in deeper. Yet it passed up the volcano? I've gotta vote for the swamp. If I don't, who will? I'm late in the game here, but I'm surprised that many people dislike snow. Though it's annoying to shovel, it sure is pretty. 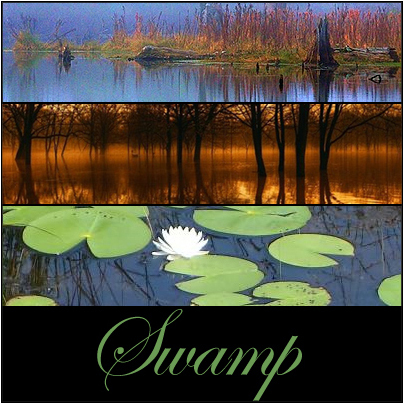 I like the swamp picture. They are sooo different. Mountains!!! Swamps are stinky and full of scary creatures. I've always been a fan of mountains, but those pics of the swamp are awesome.